Originally a cross between Greyhounds and terriers, the slender and handsome Whippet can run up to an incredible 35 miles per hour. These calm, intelligent sight hounds were bred to pursue small game. Playful, devoted, and good with children, Whippets make wonderful companions, especially to those who can keep up with their athleticism. 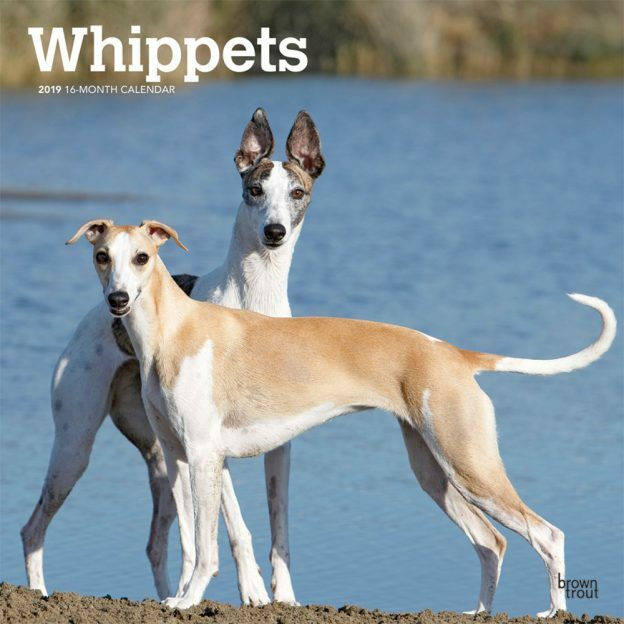 Those who appreciate these fine dogs will enjoy this Whippets square wall calendar. This calendar includes a free download of the DogDays™ app for the smartphone and tablet, which grants access to the world’s most captivating dog photos and backgrounds, fun puzzles, and a calendar featuring your favorite furry friends. This entry was posted in Calendar Showcase, Dog Breed on March 18, 2019 by dogdaysapp.